Mucus can build up due to a number of different medical conditions such as cystic fibrosis and chronic obstructive pulmonary disease, or COPD, as well as from colds or flu. Mucus can become hardened and as a result can be very difficult to remove from the respiratory tract. Sometimes it is necessary to use a mucus removal device to help with this process. The bulb syringe is commonly used by parents and health care professionals to help babies and children suffering from a buildup of mucus caused by colds or allergies. The bulb syringe can be purchased at pharmacies and retail stores. It has a suction bulb with a long tube and does not require batteries to operate. Using saline spray before suctioning the child’s nose can help to loosen any dried-up mucus. As many parents and healthcare professionals know, bulb suction can be an upsetting experience for young children; talk to your child and reassure her as you perform this action. The Cardinal Flutter Device is a portable mucus removal device often used for those who suffer from asthma, COPD or other respiratory conditions that cause an excess of mucus buildup. According to Cardinal Health, the Flutter is made of hard plastic and is shaped like a pipe. The device contains three different mechanisms that provide pressure to help remove stubborn, excessive mucus from the airway. To use this device you simply place the device in your mouth. Pressure is used to pull or loosen the mucus away from the airway so that you can express it outward. Cardinal Health also reports that the Flutter has been approved for singular patient use. This device is more expensive and costs between $70 and $100. The Grossan Hydro Pulse System is an electrical irrigation device that is used by people who commonly suffer from sinus problems that cause a buildup of mucus or those who have had surgery on the nasal canal and need help removing mucus and blood that have accumulated. 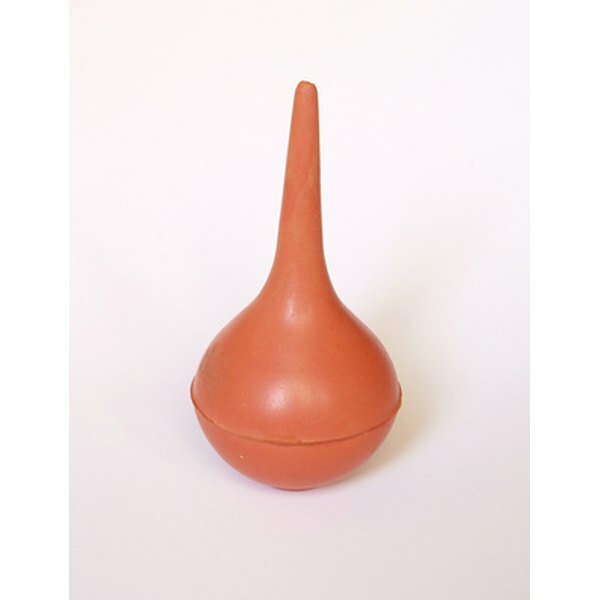 According to Hydro Med, this device helps to remove mucus by irrigating the sinuses with pulsating water. Hydro Med also reports that this device can not only remove dried mucus but it can improve your sinus cilia to help continue the removal of mucus naturally.